. يعمل Bayview Tower Motel على ضمان إقامة مريحة لضيوفه من خلال خدماته الممتازة وحسن ضيافته. يمكن لضيوف الفندق الاستمتاع بالميزات التالية على أرض الفندق: خدمة التنظيف يوميًا, تسجيل وصول/خروج سريع, واي فاي في المناطق العامة, صف السيارات, غرفة عائلية . ادخل إلى واحدة من الغرف 45 وتخلص من عناء نهار طويل بمساعدة مجموعة كبيرة من الخدمات كمثل غرف لغير المدخنين, مكيف هواء, تدفئة, خدمة الإيقاظ, مكتب الموجودة في بعض الغرف. يقدم الفندق مجموعة واسعة من وسائل الراحة المتنوعة، كمثل: حمام سباحة خارجي, سبا. 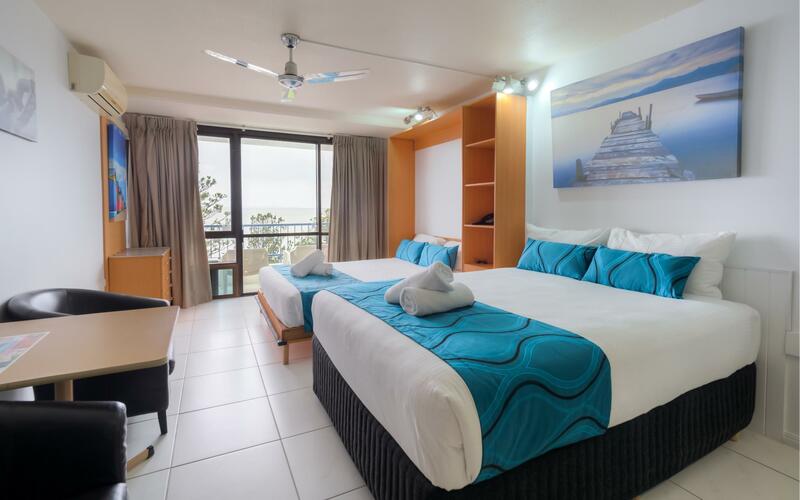 اكتشف مزيجاً ساحراً من الخدمة الاحترافية والخيارات الواسعة من وسائل الراحة والمتعة في Bayview Tower Motel. We stayed in family suite for one night.The sea view from the room was nice. The room was just renovated and the smell of new paint was still present which made very uncomfortable. We wanted a one night stop in the Yeppoon area. The weather wasn’t the best. High winds which being on the seventh floor facing the sea made the room very noisy. There was a basic sink and a microwave. So not a place to do much cooking. However the large bed was spotless and very comfortable. One bedside table and no table to sit and eat. The shower room was again spotless and had been done up reasonably recently. The doors to the shower room were also in need of attention. Breakfast was excellent. Ok for a one nighter. On arrival we were greeted by an older fellow who stunk of alcohol we went up to our room on the 7th floor the door lock was faulty the bath room was dirty and smelly there were holes in bedroom door no aircon in bedroom ,dirty cutlery,dirty microwave,ceiling sagging,hand railings on balcony rusted through were it was connected to the building very dangerous, the elevator stunk like someone had urinated in it ,just generally filthy and old. We were in the room for 1hr and handed the key back and left we paid $189 for one night and because the staff was drunk we did'nt ask for a refund. A warm friendly welcome from the Manager, great location, room a bit old and tired, but still worth the stay. Would stay here again on another visit. 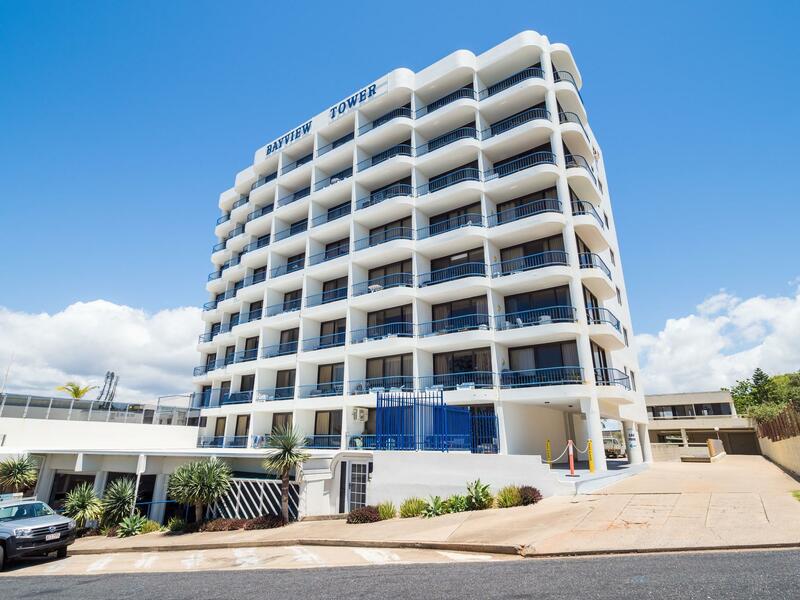 Bayview Towers is an older motel in Yeppoon and as a local it was the first time I have stayed there. 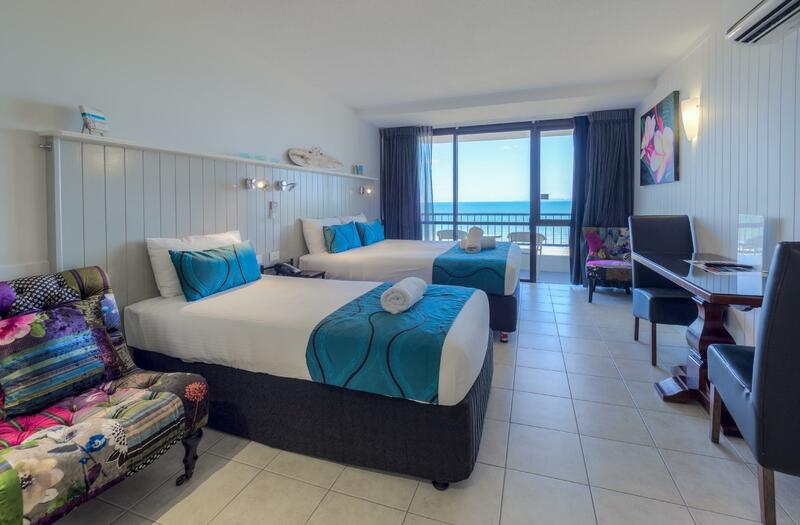 It is a perfect location where you can wake up and see the sunrise over the ocean which was very magical. 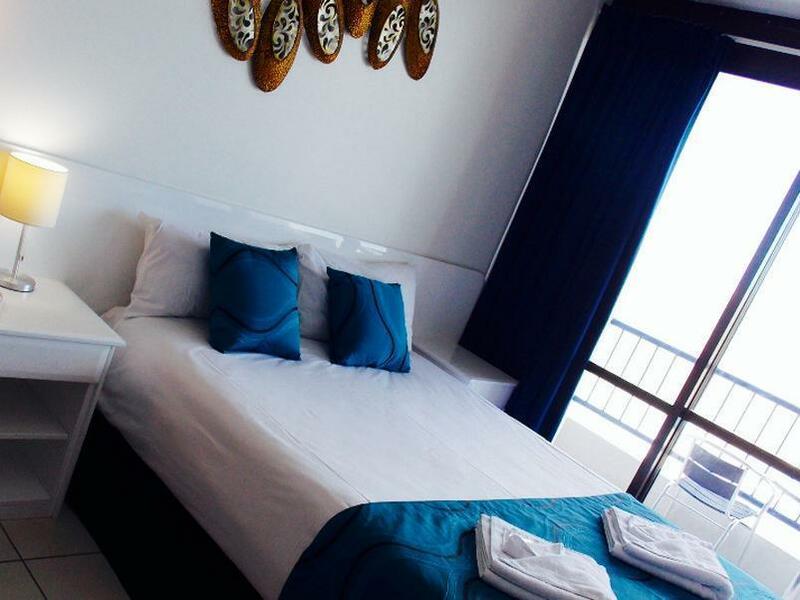 The room was comfortable and very neat and tidy giving us a very enjoyable stay. Being in the centre of Yeppoon everything was in walking distance and very handy. The only downside was it had very limited parking and the parking that was there was not undercover. My husband and I stayed for 1 night here and loved it. 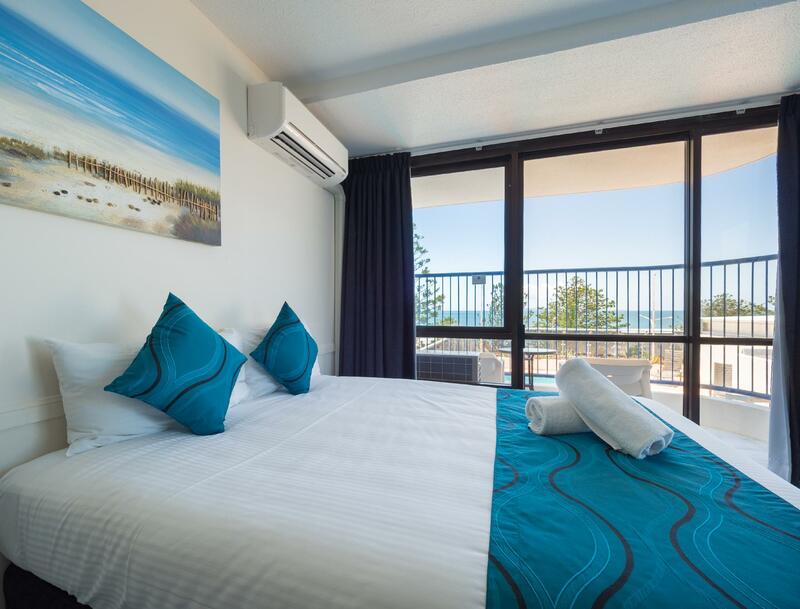 The staff are friendly, the room is modern with great ocean views and it is in walking distance to everywhere. Will definitely stay here again. This place would have been quite grand in its day but it is looking very very tired. It needs a renovation badly and unfortunately, because it is not maintained to a high level, it will quickly deteriorate in the coastal climate. A real shame as it has potential to be great again! REcommend highly. Great views, convenience, location and service with supberb value.